Got any good mail lately? This week UNCLE PETE is going to bring you some hot letters from a real Dead Letter Office as THE DARK VAULT OF PUBLIC DOMAIN features the 1961 scarefest – The Devil’s Messenger. 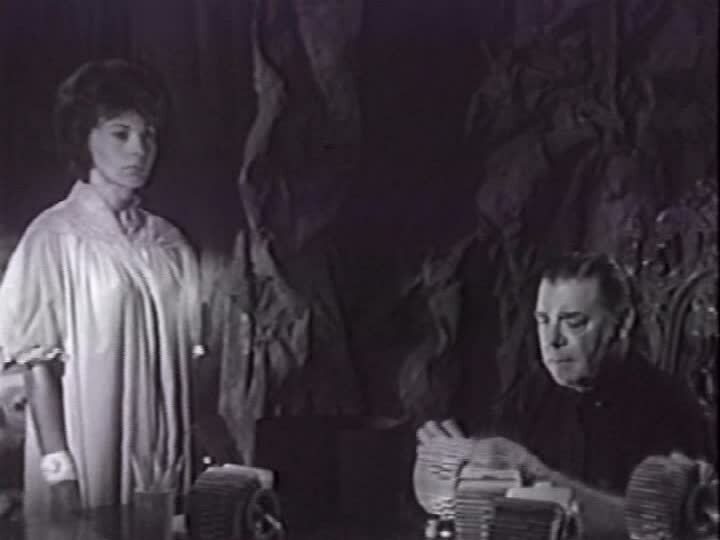 Lon Chaney Jr. stars as Lou C. Fer himself in a movie based on the Swedish anthology series 13 Demon Street. Here we have 3 tales of dastardly deeds – stories of a scientist who discovers a girl frozen in ice, a lecherous photographer (aren’t they all), and a man who was no gentleman. Meanwhile, the devil is on a recruitment drive (as if there aren’t already enough mortals lining up to join) and he enlists the assistance of lovely evil dead girl Satanya (played by Karen Kadler). Plus, just for fun, he’s also plotting the destruction of all mankind by way of a nuclear explosion. To add to the scares, UNCLE PETE also has an episode of the creepy classic One Step Beyond, hosted by your guide John Newland. This episode from 1959 is entitled The Devil’s Laughter about an evil doer sure he has cheated death. UNCLE PETE keeps busy with Max, tries to capture El Vato’s soul (or is it his sole) with his special camera, reads some viewer mail, and makes up a batch of brain squeezins. And don’t forget to send us your e-mail at darkvaultpd@gmail.com or unclepeteshow at gmail.com (written in the proper way of course). So join UNCLE PETE for some devilish entertainment, this Saturday night, February 20, 2016 from 10PM to midnight on channel 4 (Binghamton), channel 99 (Elmira/Hornell/Corning) and channel 17 (Sayre/Montrose) with replays at midnight and 2AM. It’s The Devil’s Messenger on the next DARK VAULT OF PUBLIC DOMAIN! ~ by UNCLE PETE on February 20, 2016.